Beautiful 8 bedroom house with two kitchens for sale at Atasomanso Kumasi. Just off the Oyarifa highroad on the way to Kuottam Estates , is this four bedroom fully detached house for sale. Sudan's Bashir moved to prison. Bio: Stephanie Agbasi is in her final year studying Law at the University of Nigeria. Stephanie has always been fond of volunteering with her church. Stephanie loves spending time with family and visiting tourist centers around Nigeria. Stephanie is an advocate against gender-based violence in Nigeria and is very passionate about women empowerment and the fight against gender-based violence. She hopes to use the title of Miss Universe to empower women, boost their self-confidence and fight against sexual violence through seminars and campaigns. When she has time to relax, Stephanie loves watching movies and playing basketball. Bio: Angie Callychurn studied Mass Communications and is a qualified Colour Consultant. She wishes to follow up with an Image Consulting course in the hope of launching her career as a certified Image Consultant. She also aspires to boost the career and personal achievements of others by promoting self-confidence. In her spare time, Angie enjoys exploring the beautiful island of Mauritius has to offer. To keep her adrenaline going, she enjoys hiking, swimming, diving and mountain climbing. To relax, she practices yoga, meditation, reading, cooking, singing and walking on the renowned sandy beaches of Mauritius. Her family and close friends play an important part of her life and she enjoys spending quality time with them. Bio: Demi-Leigh Nel-Peters recently earned her degree in Business Management at North-West University after making history at her high school for holding two leadership positions. Demi-Leigh’s biggest motivation comes from her half-sister who has a disability, that lives in Potchefstroom with her stepmother and father. In her spare time, Demi-Leigh is passionate about a program she helped develop to train women in self-defence in various situations. She plans to share these workshops and help as many women as she can. Bio: Isabel Chikoti was born and raised in Chingola. She earned her Bachelors Degree in Management from Sumy State University and specialized in Management at the Faculty of Economics. She hopes to use her education and drive to give back to her beautiful home country. 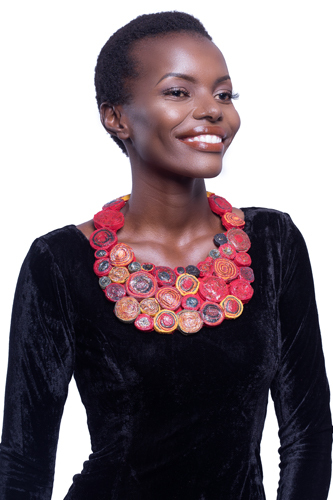 Isabel hopes to refurbish and provide resources such as uniforms, shoes and stationary to schools and raise education standards in rural areas. Her hobbies include singing, dancing and watching old films. Isabel believes that we are all in this competition because we have a common interest to be ambassadors and advocates. 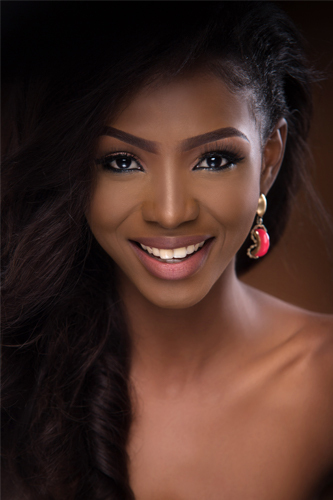 She is excited to meet the intelligent women from around the world and hopes to win the crown for her home country. Bio: Lauriela Martins is a first-year Architecture major who is currently working on a project where she brings orphans on trips to visit historical landmarks and sites. Lauriela enjoys swimming and other active sports, especially if she can combine them with her love of going to the beach. In 5 years, Lauriela hopes to have finished her studies and have built a name for herself in the architect industry. 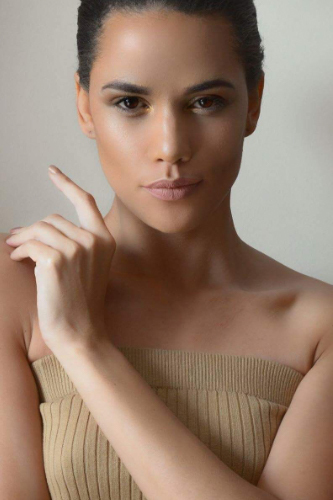 This will be Lauriela’s 3rd pageant, and she hopes it will be the one that will bring her the Miss Universe crown. Bio: Lilian Ericaah Maraule is a radio personality and producer for a program dedicated to African culture and lifestyle. Lilian dreams to use her career as a source of hope for young girls, especially those who come from difficult backgrounds like her. Lilian has defied her odds and propelled herself into an education and career with the pure desire to succeed. This is her first pageant and she is so excited to inspire young girls to get an education and to follow their wildest dreams because if she hadn’t done the same, she would never be where she is now. Bio: Suné January was born in a small town and raised by her grandparents. She was grateful to have studied in India as it has always been a dream of hers to study abroad. Her modeling career started by being noticed and recruited by a woman in a restaurant and Suné began her career by wearing Indian garments for catalogs. Later, she auditioned for Bangalore Fashion Week and quickly fell in love with the runway. Suné created a charity project to combat poverty in her country. 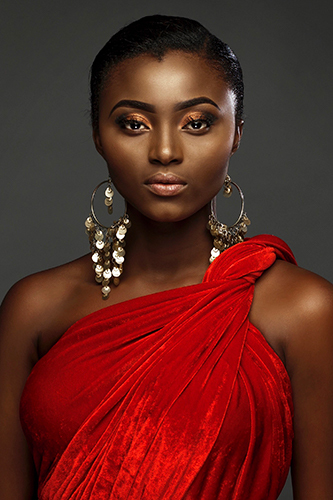 If Suné takes home the Miss Universe crown, she hopes to advocate and play a larger role in solving the rhino and elephant poaching issue in her country. 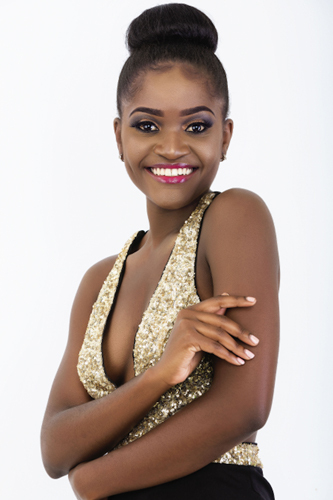 Bio: Ruth Quashie graduated from the University of Ghana Business School while continuing her role as a top model. Active in runway, fashion and lingerie for over seven years, she has been featured by many major brands. Ruth is fluent in English, Fante & Twi, and is always up to travel and explore. She is passionate about the use of the creative expression, particularly through singing and sculpting. Ruth believes in the importance of instilling young girls with good values and high self-esteem through social action projects. She hopes to continue to educate young girls and provide them with the tools to succeed in this millennium.